If one looks closely, Mr. Prasad seems to be slightly smiling. 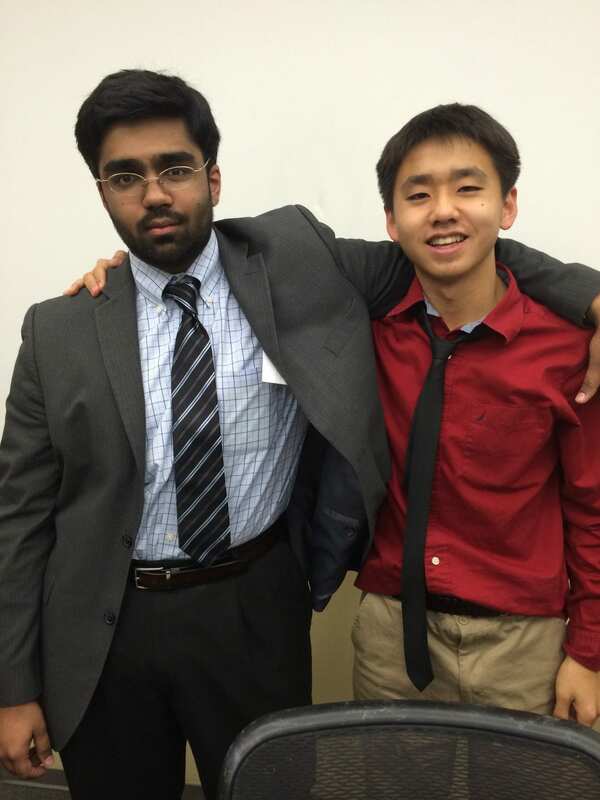 Los Angeles, CA- Congratulations to Palo Alto’s Travis Chen for defeating La Jolla’s Ram Prasad to win the 2014 Victory Briefs Tournament on a 3-0 decision (Theis, Zhang, Tartakovsky). Trav is coached by Jennie Savage, Larry Liu, Elana Leone, Matt Delateur, Erwin Li, and Alex Carter. Ram is coached by Jeff Liu, Tom Evnen, and Zack Parker.